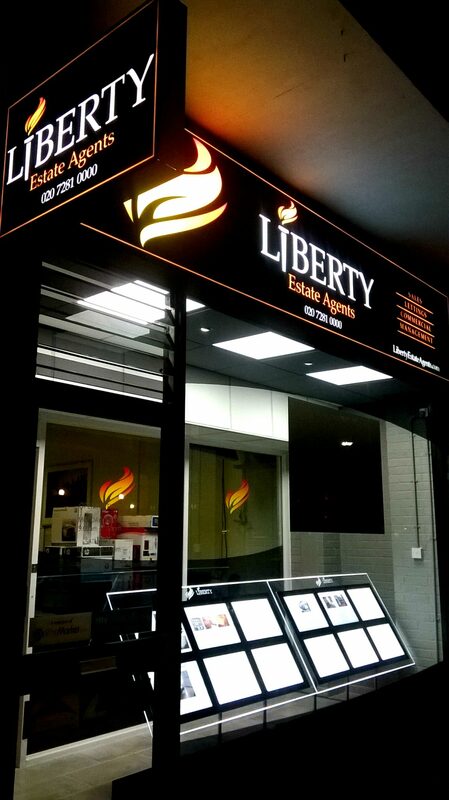 A Projecting Sign on the side of your building will make your business seen quickly and by thousands of people. 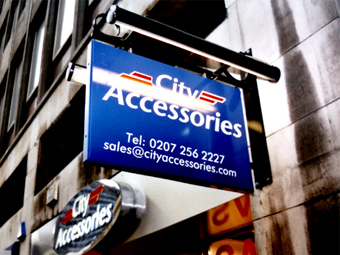 The signs E Signs ® make are built in aluminium and in your design. 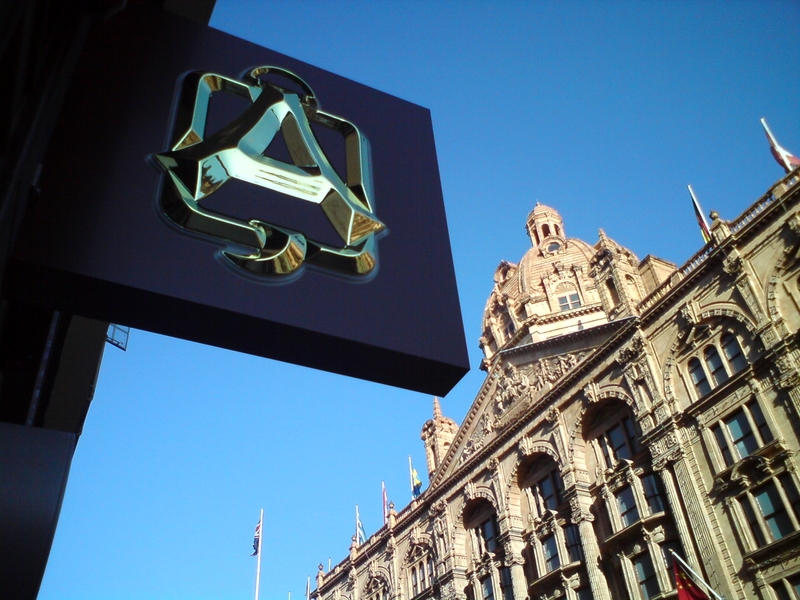 E Signs ® can even create formed 3D logos using vacuum formed signs like in the ‘A’ above. 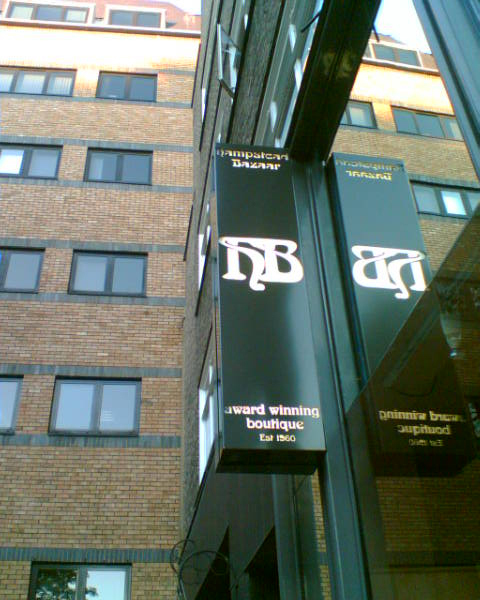 A Projecting Sign with the letters cut out of it is called a fret aluminium sign,backed in white perspex -like in the ‘HB’ Sign. 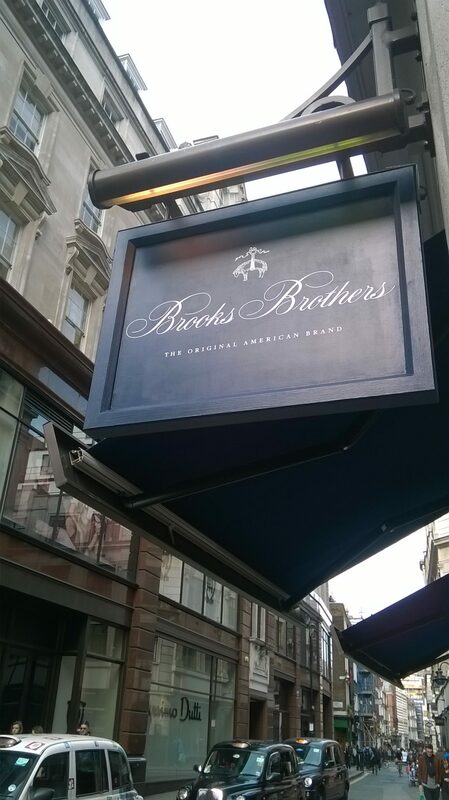 An illuminated projecting Sign or painted decal like in the Brooks Brothers main Signs on Regents Street London create an authentic eye catching sign. 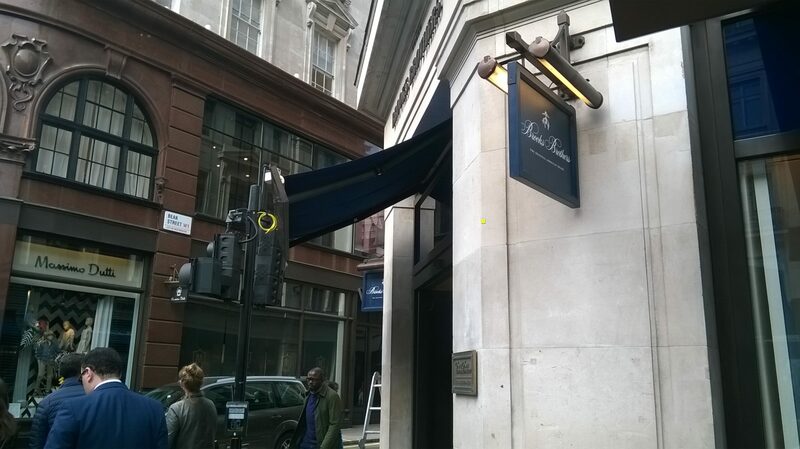 The LEDs we use in our projecting Sign will be cool white 110 lumen and so look modern and fresh. The LEDs are exterior grade and weatherproof. 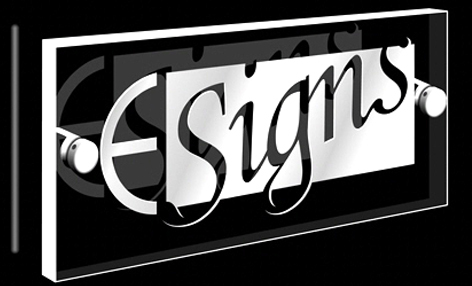 The warranty on E Signs ® LEDs is 5 years. 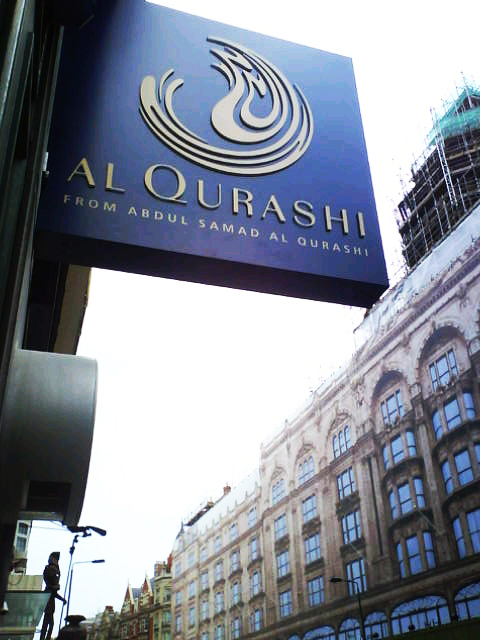 E Signs ® hand make and fabricate out projecting signs in the UK at our London workshops. 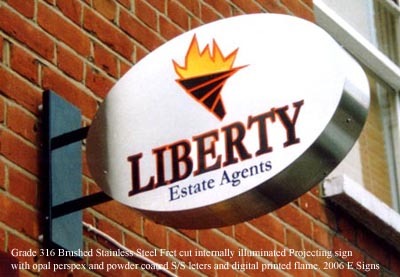 Call today for a quote for your new projecting E Signs ® and never be passed by again.